Too Many Threads Tangle 'The Suspect' Fiona Barton's third Kate Waters mystery finds our reporter on the trail of two young girls who've gone missing while backpacking in Thailand — but the case is overcomplicated by its many characters. After three books in four years from Fiona Barton, the good news: Barton has pulled off the trick of writing a series whose individual volumes still deserve reviews (full disclosure: This is my third here at NPR Books). In this latest installment featuring newspaper reporter Kate Waters, the deaths of two young Englishwomen, Rosie and Alex, in Thailand connect very close to home, and Barton finds a new way to use her real-life experience as a journalist to place Waters in the hot seat. Now, the bad news: The Widow (2016) broke new ground in portraying not just how a reporter relates to a murder investigation, but also in how dangerous a symbiotic relationship can become. The Child (2017) brought Waters into a different class stratum and deepened her mentoring of a young colleague. But The Suspect, despite its interesting and intricate murder plot, falls short of its predecessors because Barton tries to do too much with too many characters. Kate Waters and her favorite police source, DI Bob Sparkes, both have trouble at home. Waters worries about her son Jake and his aimless drift around the world, while Sparkes cares for his gravely ill wife. Both are off their game — Sparkes acknowledges it, but Waters feels driven to work harder. Her evening glasses of wine seem to get bigger and more frequent as she flails in her marriage, her parenting, and at work. Which is all quite fair, and one of the reasons Barton's work appeals in the first place: She gets women and their contemporary pushme-pullyou pressures well. Some of Barton's own contemporaries (she was 60 when The Widow was released) who began publishing in earlier decades chose to create female protagonists who were single — Kinsey Milhone, V.I. Warshawski, Stephanie Plum — but Barton doesn't shy away from giving Waters a full (impossible?) life. She and the other characters, unfortunately, don't get much time to show us their lives, because the chapters are almost too brief, cut and spliced in a way that made me wonder if someone had "screen adaptation" in mind. 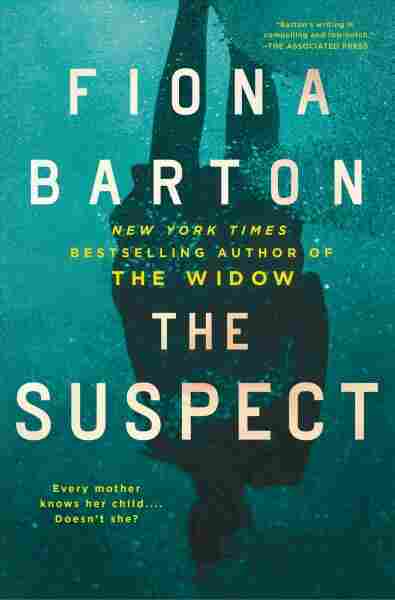 The Suspect does not represent a sophomore slump; first, it's Barton's third book, and second, the slicing and dicing between perspectives (which include Waters, parents of the girls, and two young men) feels like less of a writing issue and more like an editing issue. A major plot twist involving the men could have been handled in a single section rather than unspooled over chapters, and it feels false, as if Barton's energy lies elsewhere. Might it lie in DS Zara Salmond, the young woman who does the most footwork on the case? Salmond's fresh energy and perspective helps tighten the flabby narrative, as well as reminding us that the real suffering isn't back at home — it's happening to the missing women travelers whose fraying friendship, narrated through diary entries, results in tragedy. Do we really need to learn about all the trials and tribulations of one traveler's parents? If it's meant to be a counterpoint to another set of parents in the book, it falls short. What happens to the two young women holds far more power than cardboard scenes of people telling us about their grief (picayune quibbles with troublesome family members, administrative quibbles with the police, so much coping, so many cups of tea ... ). If you've never read Barton's work, start with her first two novels. If you loved those books, join me in waiting for her fourth. Another piece of cardboard: Friends who conform to "good girl" and "bad girl" stereotypes. The setup for the young women's falling out feels like a sitcom device, and while these pairs do exist in real life, their dynamic here feels as forced as the parents' dialogue. In her previous books Barton seemed more willing to blur the lines, to allow more ambiguity of action and motive. That willingness leads me to believe Fiona Barton has more books to write in a deeper vein. Kate Waters makes a great protagonist, but maybe she could cede center stage some time for Zara Salmond. Or not. The important thing would be for a reader to care deeply about what happens to at least one character. In The Suspect, the setup and setting are original, but the action is hampered by too much stage business. If you've never read Barton's work, start with her first two novels. If you loved those books, join me in waiting for her fourth.